Tell us about your role with Miller Heiman Group. What attracted you to the company? I joined the Miller Heiman Group as Chief Product Officer about two years ago. I was attracted to the company’s comprehensive portfolio of sales and service training programs, which continue to be unmatched in the sales performance industry. There is no other company in our category offering research-based programming — such as Professional Selling Skills, SPIN, and Strategic Selling with Perspective — that is changing the game as powerfully as we are. Every year, we train more than 50,000 sales professionals, giving us an immense body of data about the road-tested sales strategies that are most effective in changing deal outcomes. With the major advances in Artificial Intelligence and Machine Learning, we have a new and unique opportunity to transform data into prescriptive recommendations that can help organizations change the trajectory of their active sales opportunities. My role as Chief Product Officer brings together our longstanding, market-proven sales methodologies with specific investments in analytics and cloud technology to help sales teams perform better. This unique combination enables us to help clients build winning, world-class sales and service organizations now and in the future. How different is Customer Experience for Marketing and Sales Technology products compared to other technologies, for instance IT SaaS and Cloud? We strongly believe that the most powerful technology solutions are purpose-built for a specific audience. A salesperson is very different than an IT person. At Miller Heiman Group, we’ve been serving the sales industry for half a century. We are a group of sellers committed to helping other sellers. This has been our mission since day one. Because we have a deep understanding of our clients, we know how to build solutions and apply technology in a way that will help them win. Take CRM for example. Even though almost every sales team uses a CRM system, it was never designed with the front line seller in mind. Have you ever heard a salesperson say, “I never would have won that deal if it wasn’t for my CRM”? Instead, sellers constantly try to minimize their time on administrative tasks so they can maximize their time interacting with current and prospective customers to win more business. This is why our solution, Scout, focuses on minimizing time in the application. This is what sellers need to succeed in today’s business environment. So, our success metrics are very different than they would be for another application. 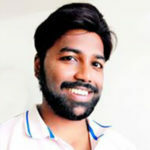 We actually want to decrease the amount of time our core audience spends in the app, whereas many other solution providers focus on increasing time spent on the platform. How do you differentiate Customer Success and Customer Experience? How have these definitions changed in the past 5 years with personalization? In the CSO Insights 2018 Buyer Preferences study, which explores the growing gap between business buyers and sellers based on a survey of 500 B2B decision-makers, we discovered that most buyers want to discuss implementation plans before they’ve even signed a contract. While at the same time, sellers are invited into a conversation with buyers even later in the process. This means more and more of the sales conversation is about process for successful implementations before buyers even make a final purchasing decision. This is one example of why customer success is the driving force behind any customer experience, even a sales experience. At Miller Heiman Group, our customers come to us for support in driving a change in performance. This requires us to help them change their behavior. It can begin with something as simple as changing the questions a single rep asks when meeting with a prospect or it could be about refocusing a rep’s attention from one buying influence to a different one in the course of a pursuit. Other examples include sharing different information to change a client’s perspective in the course of a conversation. Achieving these behavioral changes requires coaching around real opportunities and it can be difficult to scale. When done best, the learning happens on the job, instead of being carved out from the seller’s day-to-day schedule. These small changes, one rep at a time, add up to millions of dollars in additional wins. The ROI for sales teams to improve performance even marginally is enormous. Looking through the lens of customer success sounds easy, but it is often not done well. This is why, for us, the customer experience has evolved from a two-day training class to daily, personalized coaching in the context of the real deals that sellers are actually working. The sales coaching they receive is completely personalized to them. It’s in the context of the actual deals they’re working and the actions that will be most effective in moving their deals forward. It’s grounded in their talent and skills. Everything about the sales coaching experience is personalized and immediately actionable. It’s designed to actually help them win their active deals! Which sales technologies would you identify as most disruptive? Much of the new sales technology being introduced in the market today focuses on adding more context to a deal. Unfortunately, additional context doesn’t always move the needle for sellers. Providing sellers with more and more information doesn’t actually help them decide what to do next to move deals forward. It can actually make it harder for them to distinguish what’s critical and what isn’t. There is another category of technology that effectively calls into question a rep’s forecast. For senior executives and sales leaders, there is immense pressure to forecast accurately. So, reps are being dragged through bureaucratic processes and forced to use multiple technologies that are intended to help leaders with the forecast, but that steal reps’ time and attention away from real selling activities. Miller Heiman Group’s philosophy is fundamentally different. The only sustainable way to build better sales performance is to support and develop your salespeople. Our approach is to reduce noise for sales teams to help them focus their time and attention on the most valuable selling activities that will move deals forward and result in more wins. The rep should be the hero—not the villain. Which events and webinars do you most occasionally attend and why? Your advice to Sales Performance and Enablement executives? My advice to executives would be think of sales reps as heroes, not villains. Too often, when businesses are under pressure, leaders view the sales organization as an impediment to meeting goals. This makes many organizations quick to move sales reps out of the organization or work around them. Sales leaders need to reframe their mindset to think about their sales team as one of their most valuable assets. If your only goal was to make your existing sales team more successful, what would you do differently? Often, there are fairly straightforward, minor changes to sales processes that can lead to major improvements. Even though the changes are simple, they are often difficult to execute. And they boil down to coaching and supporting your front-line sales team, day-in and day-out. Thank You, Dana. We hope to see you again, soon. Dana Hamerschlag is a strategic technology leader with a track record of launching innovative cloud-based solutions for learning. 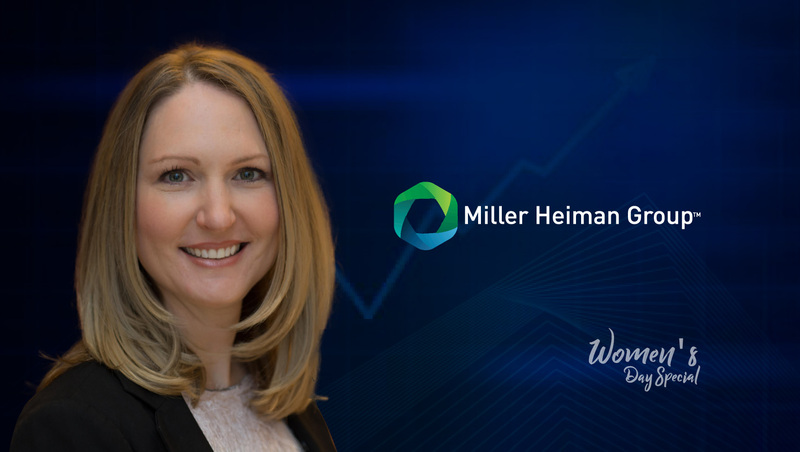 In her role at Miller Heiman Group, Dana leads the global product organization and is driving the continued innovation of the company’s technology solutions. Dana brings more than 15 years of experience in technology companies backed by venture capital and private equity, where she has run product management, product marketing, strategy and operations. Previously, she served as Vice President of Product Management at Ellucian, where she led the CRM business and significantly grew revenue from $0 to $38 million, paving the way for a $3.5 billion transaction.